Over the last couple of months, AMA Victoria on behalf of our members, VHIA and the government have been in negotiations about how back pay should be applied under the new Enterprise Agreements. Particularly, has been discussion over whether a doctor is entitled to back pay if they left the public system between 1 January and 7 August 2018, which is when the agreement became operational. We are pleased to announce that following these negotiations, doctors who worked at a public health service during that period are entitled to the full 9% back pay. Doctors should not be disadvantaged by the long period that has elapsed between the signing of the heads of agreement and the coming into operation of the new enterprise agreements. Where a doctor was in the employment of and worked for (or undertook a period of paid leave) an eligible employer during or for any part of the period 1 January 2018 and 6 August 2018, the doctor will be paid arrears for the salary increases payable from the first pay period commencing on or after 1 January 2018, regardless of whether the doctor remained in the employment of such a public hospital or health service on 7 August 2018. Further to point 2, where during that period a Doctor in Training undertook a training rotation to a hospital or other relevant employer that is not named in the DiT agreement (a ‘non-eligible’ employer), that doctor should be paid arrears for the salary increases payable from the first pay period commencing on or after 1 January 2018, as if the doctor had been working at an eligible employer for that same period at the relevant classification/pay. Unfortunately, the same principles will not apply to the sign on bonus, as the wording in the agreement specifically states that the bonus is payable to a doctor that “is subject to the agreement and was in the employ of a health service as at 1 January 2018”. If you don't believe these principals have been adhered to by your health service, discuss this with your medical workforce department. If they do not resolve the matter to your satisfaction, please contact AMA Victoria’s Workplace Relations team on (03) 9280 8722. 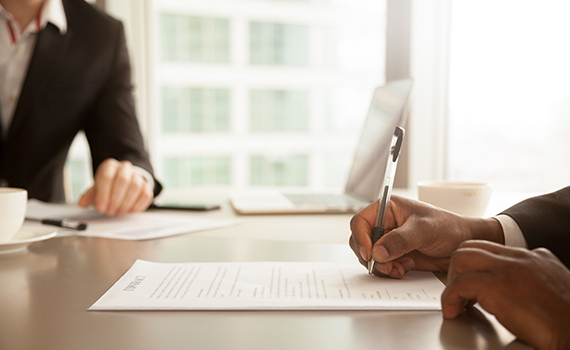 AMA Victoria is pleased to announce that the Fair Work Commission has approved the new Enterprise Agreements for both Medical Specialists and Doctors in Training. The new Agreements were certified on Tuesday 31 July 2018 and come into force 7 days later. AMA / ASMOF met with the government and VHIA on 19 July to discuss outstanding issues with the new Enterprise Agreements. The issues were to do with typos in shift penalty schedules of the Specialists Agreement and the incorrect application of increases to shift penalties in the Doctors in Training Agreement. Neither will have an effect on the application of the agreements. Both parties attended a conference at Fair Work on 23 July to answer the commission's questions regarding the agreements. As both AMA / ASMOF and VHIA agreed on the response, we do not expect there will be any further delay in the approval process. We anticipate that the agreements will be approved in the next week. The agreements become enforceable 7 days after they have been approved. Has the deal been approved? Yes, on 14 February 2018, the government approved two agreements, one each for junior and senior medical staff. These agreements will go out to a ballot of hospital employed doctors in March. Is there any chance of it falling through? There is little chance of the agreement falling through at this stage. It could only happen if the majority of doctors that vote in a particular hospital vote against it. You need to vote YES to ensure that this does not happen. When will the pay increases come into effect? Hospitals are obliged to pay once the agreements are approved by the Fair Work Commission. If voting is successful, the agreements will be lodged after the ballot closes in late March. The benchmark for approval by the Fair Work Commission is 50% within 3 weeks, 100% within 12. AMA Victoria has requested that the department authorise payment sooner to minimise administrative delays. How will the agreements come into effect? Do sign on bonuses apply to part times doctors? Yes. For Doctors in Training the bonus is payable based on $2000/38 x number of part time hours per week (43 hours for registrars). For Fractional specialists, the payment is $3500/35 x fractional allocation. Is the “sign on bonus” payable each year? No. It is a one-off payment. The government was steadfast in not agreeing to back pay. However, we were able to negotiate a ‘sign on bonus’ which we view as payment in lieu of back pay. It is not repeated. Does the sign on bonus apply to people who first start with a hospital after 1 January? No. Whilst the detail is still to be finalized, it is expected that the bonus will only be payable to medical staff employed by public hospitals as at 1 January 2018. If I have already signed a contract for 2018, do I still get the sign on bonus and pay rise? If I rotate to anther hospital before payments are made, which hospital owes me the back pay? If you rotate to another hospital, the Parent hospital or hospital that employed you directly on 1 January is obliged to pay. So keep in touch. Ensure you are an AMAV member to follow up. Does Parental Leave apply from 1 January? No, it will apply from the date the Agreement is registered. When will we receive our salary increases and sign on bonus? This will occur once the two agreements are finalised. There are still a number of steps to progress to finalise all the changes. However pay increases will be paid operative from the first pay period from 1 January 2018. So you will be back paid to this date. What are the next steps to finalise all these changes? We are aiming for the end of February for a vote and registration of both agreements. During this time we must finalise the two drafts with hospital representatives and the Department of Health and Human Services must submit the drafts for final Government approval. Once approved, a ballot of medical staff will be conducted as required by the Fair Work Act. If a majority of doctors (who vote) vote in favour, the agreements will be submitted to the Fair Work Commission for Approval. The agreements operate once approved. Does the Agreement apply to medical staff in all public hospitals in Victoria? The agreement applies to all public hospital employed medical staff (paid hourly or weekly) in Victoria. It does not apply to those who are independent contractors (i.e. small rural hospital VMOs) or doctors who are paid ‘fee for service’. I am a specialist who already receives an afternoon shift allowance greater than 25%. Am I entitled to this new loading as well? No, a number of changes to conditions for specialists (except for salary increases) will not be paid if the specialist is already in receipt of an equal or greater condition. This is in recognition that we are in the process of moving unregulated conditions into the specialist agreement to create state-wide conditions that are protected. Is this “catching up” to other states? One of our aims was interstate parity. Current agreements interstate have 2% - 2.5% PA wage increases and relatively few changes to employment conditions. This package better positions Victoria in terms of interstate salaries and conditions.